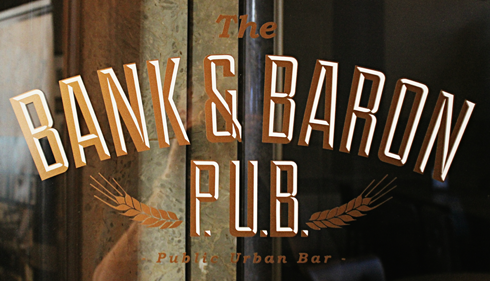 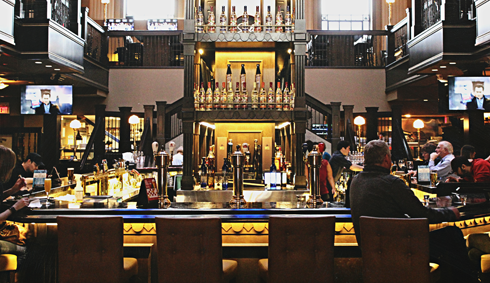 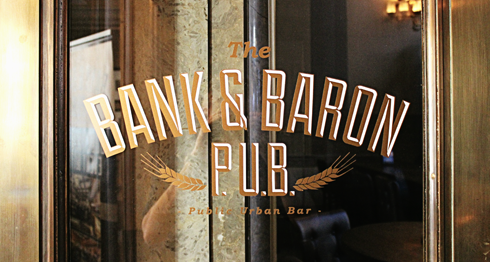 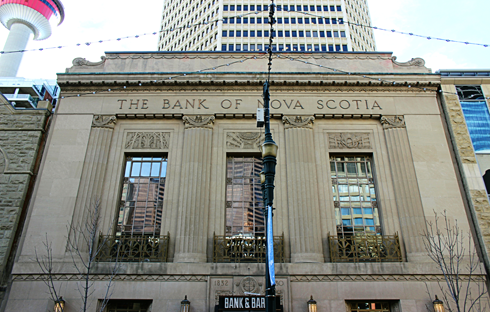 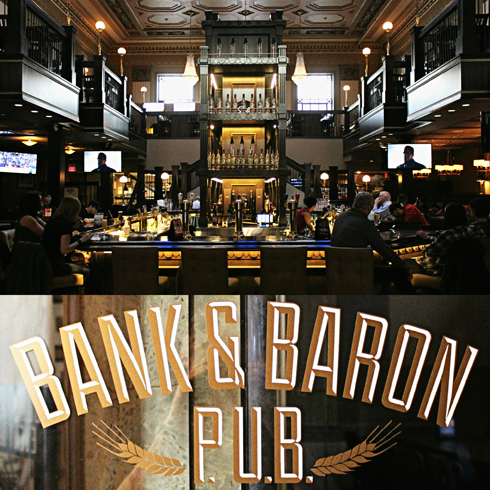 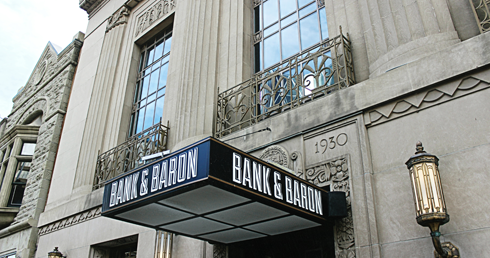 Located in the former Bank of Nova Scotia along Stephen Avenue in downtown Calgary, Alberta, the Bank & Baron Pub is a trendy spot to grab a drink and a bite to eat. 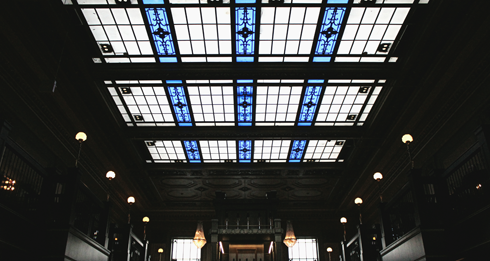 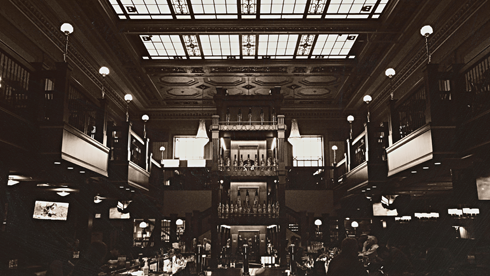 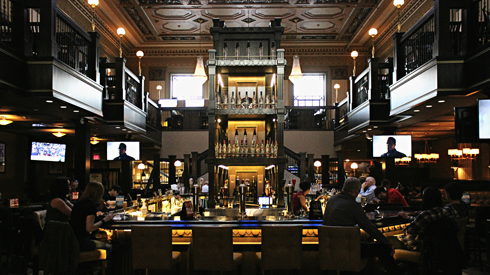 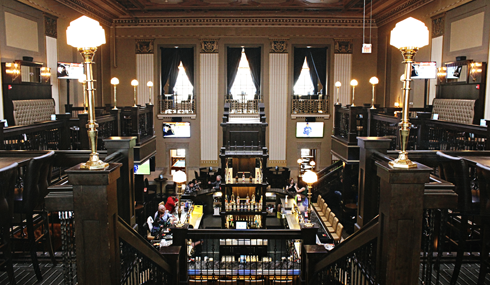 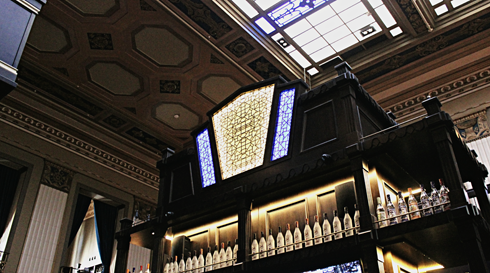 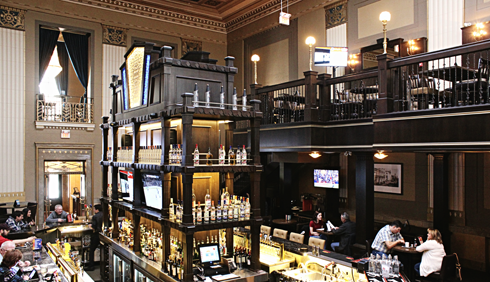 A grand ceiling, ornate fixtures, and dark wood all suit the throwback aesthetic, and it's easy to fall in love with the historic bank's architecture when you can admire it with a beer in hand. 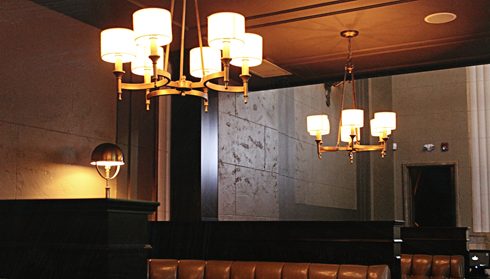 I stopped in amidst shooting my Calgary ghosting series, and the backdrop couldn't have been more fitting. 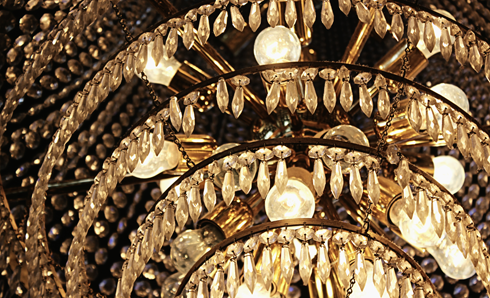 In places like this it's all about the details. 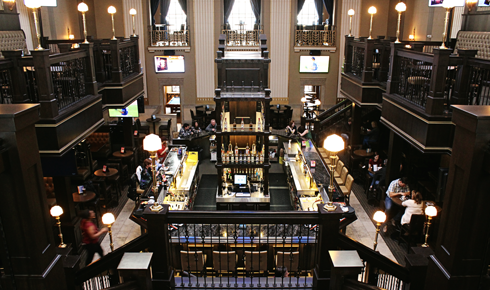 With Calgary's downtown core dominated by steel and glass it's a treat to find a space that so appropriately suits the local history and charm of Stephen Avenue. 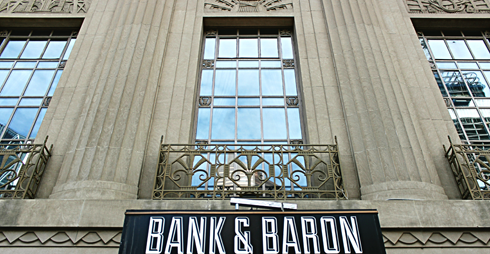 The Bank & Baron has that in spades.